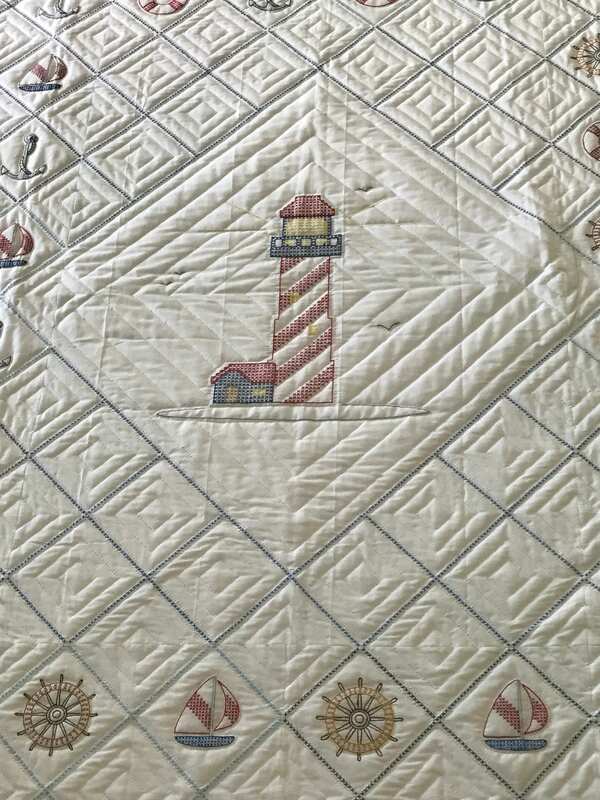 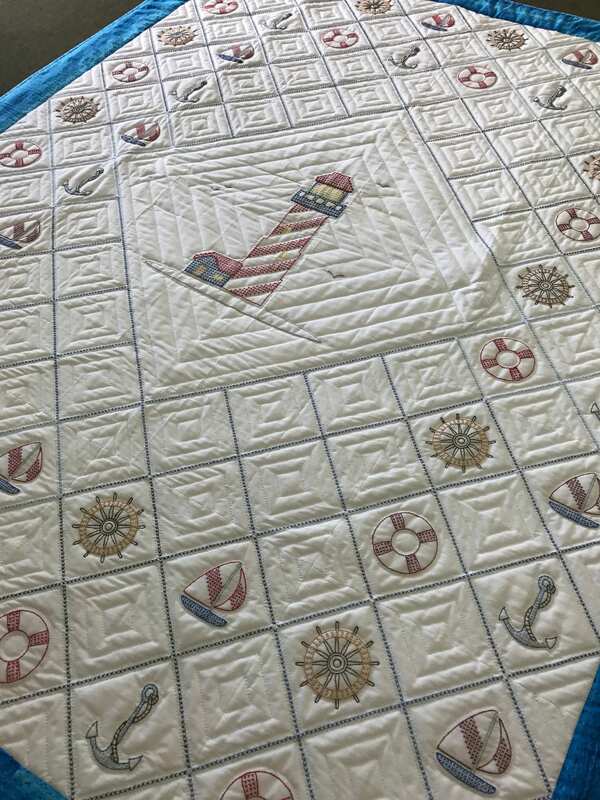 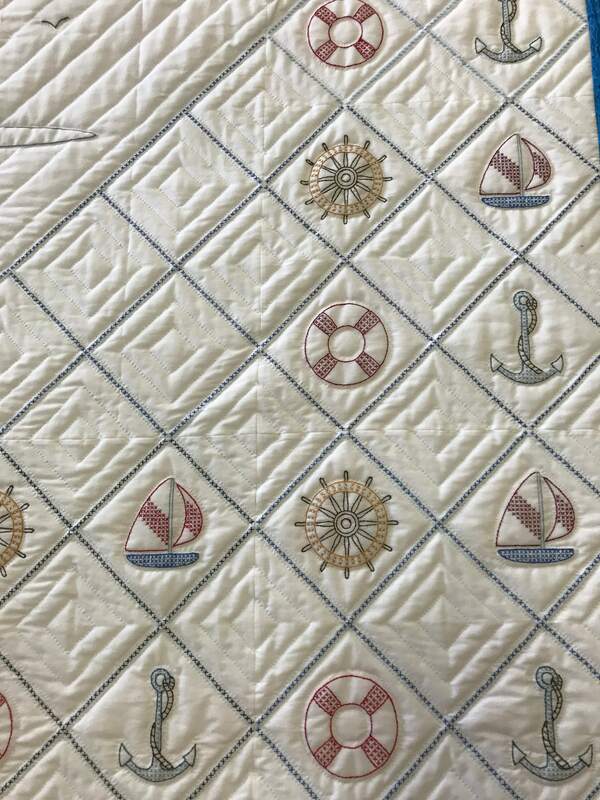 Sail away into dreamland with the charming Hand Quilted Hand Embroidered Lighthouse Quilt. 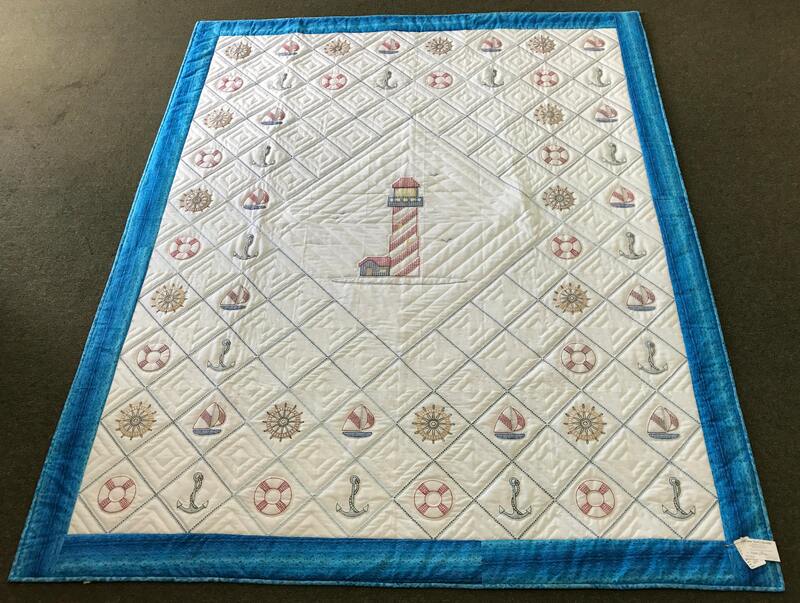 Decked out in a Lighthouse, Sailboat and Anchor embroidery accented with a blue border, the nautical bedding is the perfect addition to your seaside décor. 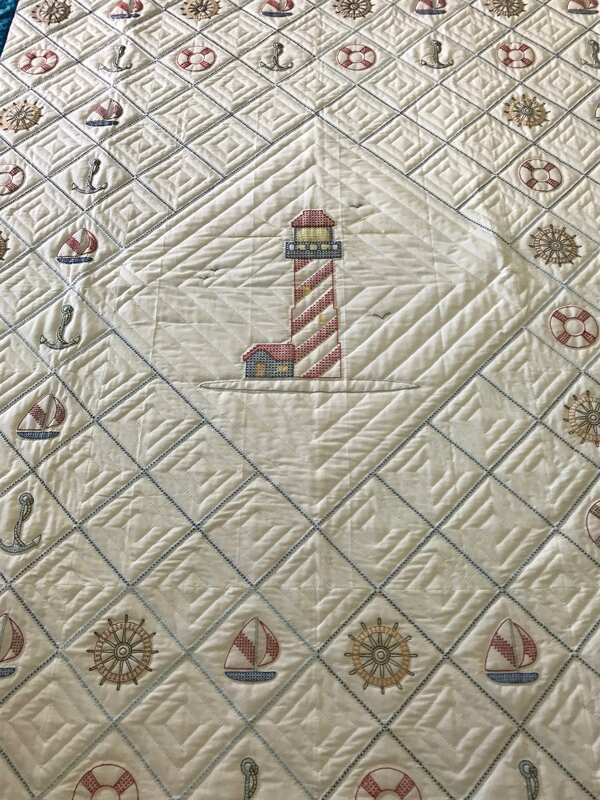 Thoughtful attention has been given to every detail of this Quilt. 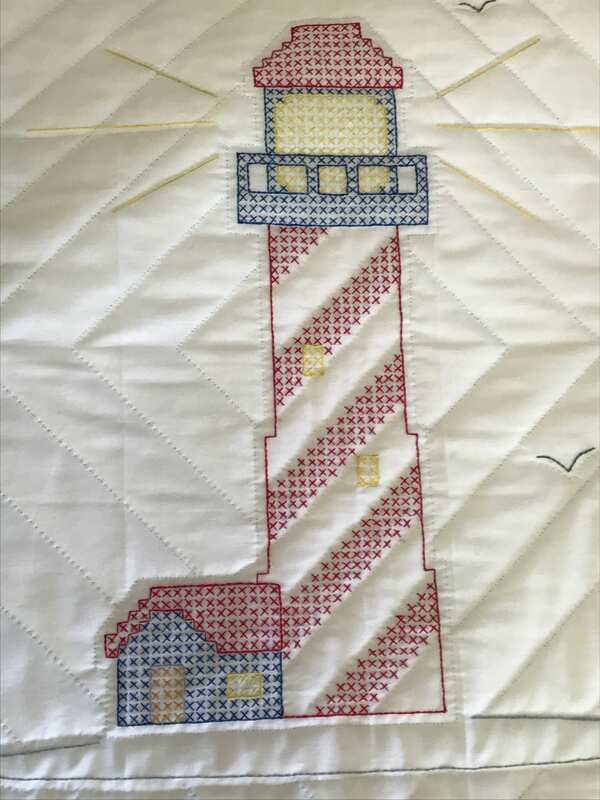 The size is 76x94. 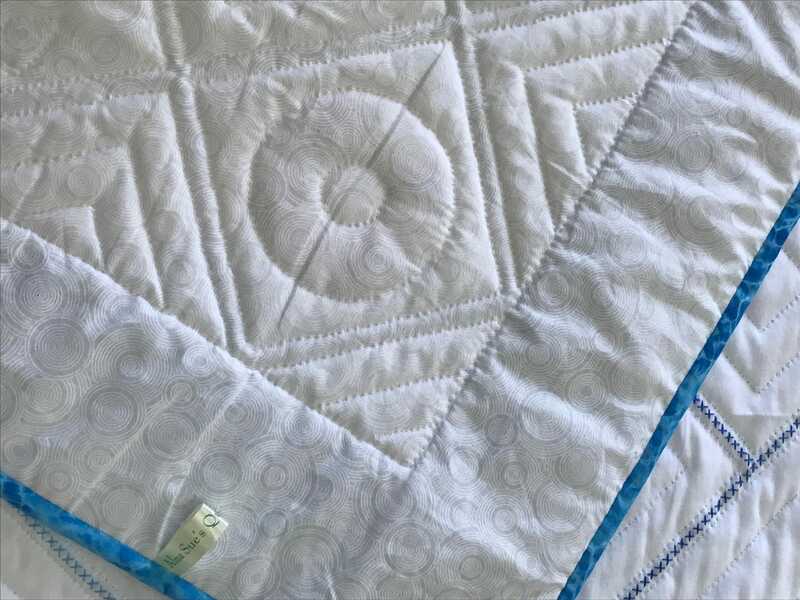 We suggest you measure the bed and drop length you need to see if it will fit. 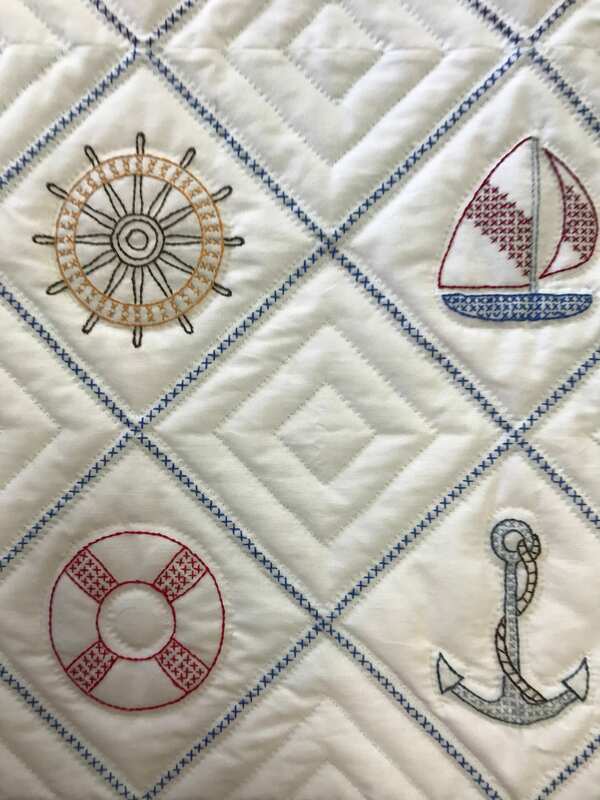 *Alma Sue's Quilt Shop offers free repairs for the life of your Quilt.